I am a well-traveled, hard-working, successful management professional who is a wife, mother, daughter and sister. Hobbies as a writer and loves a good book/story/movie. Enjoys her southern roots and the perfect sweet tea on a hot summer day. My Etch-A-Sketch Life is the anthesis of a new journey in sharing my loves of management and writing. I’m giving my life a little shake up and testing out new adventures in my etch-a-sketch portfolio. So let’s keep it exciting, shake your etch-a-sketch and in doing so, join me in the fun! Thanks for the follow on my blog! Looking forward to checking out yours! Hi! Thank you for the follow! Nice Blog! I hope to read more of your posts in the future! Thanks Amreen for stopping by & enjoying. Have a great week! 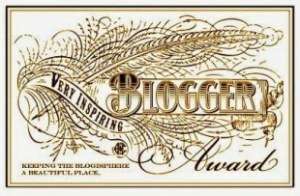 I just wanted to let you know I nominated you for a Very Inspiring Blogger Award. Thank you for your contributions and for all your support. 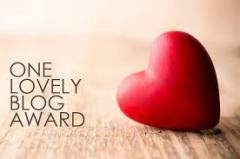 You’re welcome 🙂 I’m just glad of the opportunity to share the bloggers who inspire me. Hi Cassie, Thanks you for following our blog. Very cool site and a very lovely blog. Thanks for stopping by. ! 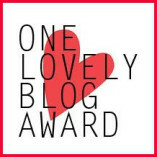 You’ve an amazing blog and real wonderful posts!